In the midst of all the signs that dot the landscape, there is one sign that has meant REAL ESTATE for over 100 years --- Coldwell Banker! 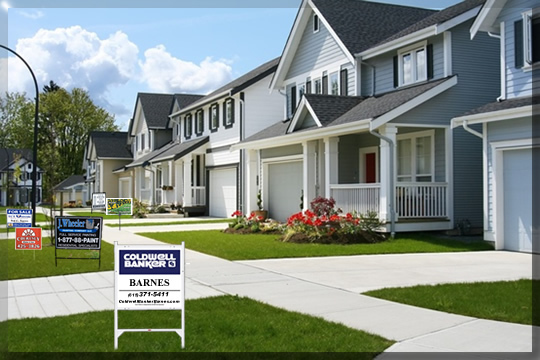 While the sign is not the only factor in getting your home sold, studies show that the buyer who comes from seeing your for sale sign are 15 times more likely to take notice of your home than with magazine advertising, 5 times more likely than with newspaper advertising and twice more likely than hearing about it from a friend, neighbor or relative. Our recognizable name leads to a larger audience of potential buyers… meaning the highest possible price within your desired timeframe! Why would you risk having any other sign in your yard?